5. What Do You Think, Eric? Based on his best-selling memoir, The Railway Man tells the extraordinary and epic true story of Eric Lomax, a British Army officer who is tormented as a prisoner of war at a Japanese labour camp during World War II. Decades later, Lomax discovers that the Japanese interpreter he holds responsible for much of his treatment is still alive and sets out to confront him, and his haunting past. 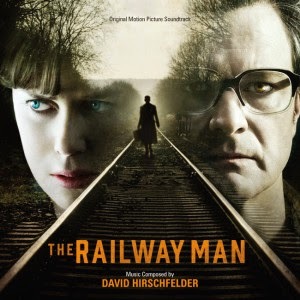 The movie soundtrack of The Railway Man will be released on May 17, 2014 by Varese Sarabande.